Hello to you, all my lovely, fellow bloggers, friends and followers! Well, Christmas and New Year is well and truly over now, the decorations are put away for another year and I am having a bit of a break from Christmas card making - although I do want to start making some in readiness for this year, I'm determined not to get caught out again this year - I have been busy during my blog break and I have been working on something that should save me some money (nothing too ground breaking) but I haven't finished yet, but when I do I will show you all! These past few days I have also been experimenting with something else too. I had made up a couple of cards with 'snippets' laying around in my craft room and was photographing them for Pixie's Snippets Playground I had promised Di that I would try not to forget this shamefully forgotten challenge (by me) this year when I use 'snippets'. Now, back to the experiment. Whist I was putting away the Christmas decorations, I wondered if I should try our small battery operated string of fairy lights as props, so that my pictures had a little extra interest, but I'm not very sure about it . . . maybe you all could help. The first photo will be with the lights (I think they are a little too big as props for card photography, so I might try some smaller ones) The other two photos are as I normally do my photographs. I will explain the 'snippets' at the end of this post, so those of you who want to get on can get on, as I realise I am 'waffling' here! The snippets used for the first card - which, I admit, may be stretching it a bit as a 'snippet', but it was a panel I had stamped quite a while ago and wasn't sure how I wanted to finish it off, so I won't enter that one! 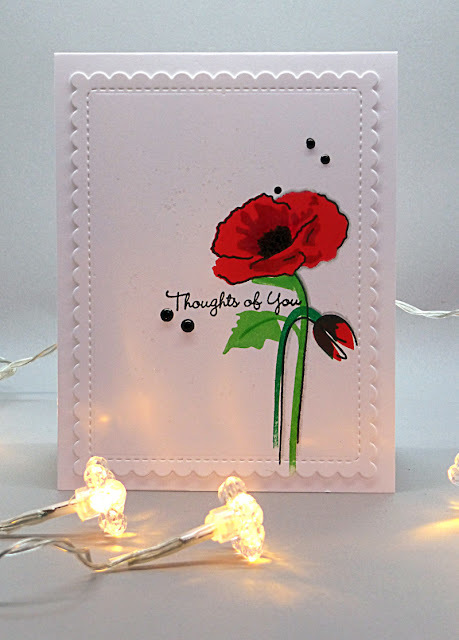 The snippets used, on the second card are the poppies that I had coloured quite a long time ago and were shoved in a drawer, the patterned paper and the two pieces of cardstock used for the sentiment. 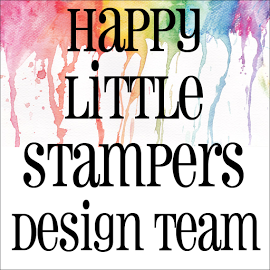 Oh you have been busy, making some beautiful cards! Love the red in them both! That basket weave its gorgeous! I like the lights! I have some tiny battery lights I often thought of using , have you tried even smaller. I love the lights! Great idea! Wow Hazel! I adore your first card - and I certainly do think the fairy lights are a lovely prop! Then your second card - oh my word - nothing short of stunning! A fabulous design and PLEASE tell me that was an embossing folder you used to create the wonderful basket weave effect. I just love it! Great to see you in the Playground - come back again soon! The cards you're displaying are both lovely. The extra lights in the first picture distract the eye from the card itself, so maybe not such a good idea? Beautiful cards! I love how you "stepped it up" from CAS to fussy and fancy. The bright red poppy is GORGEOUS! I think I need that basket weave embossing folder - where did you get that? I think your photos are great! I LOVE these, Hazel. They are absolutely stunning! Both the cards are stunning ! Lots of white space and pops of red paired with texture ..Elegance !Loved them a lot ! I too realized recently its nice to have few prestamped n colored images in stash ,handy for quicky cards ! Two gorgeous cards, Hazel! Great use of the snippets. Poppies are one of my favourite flowers and yours are beautiful. Honestly? 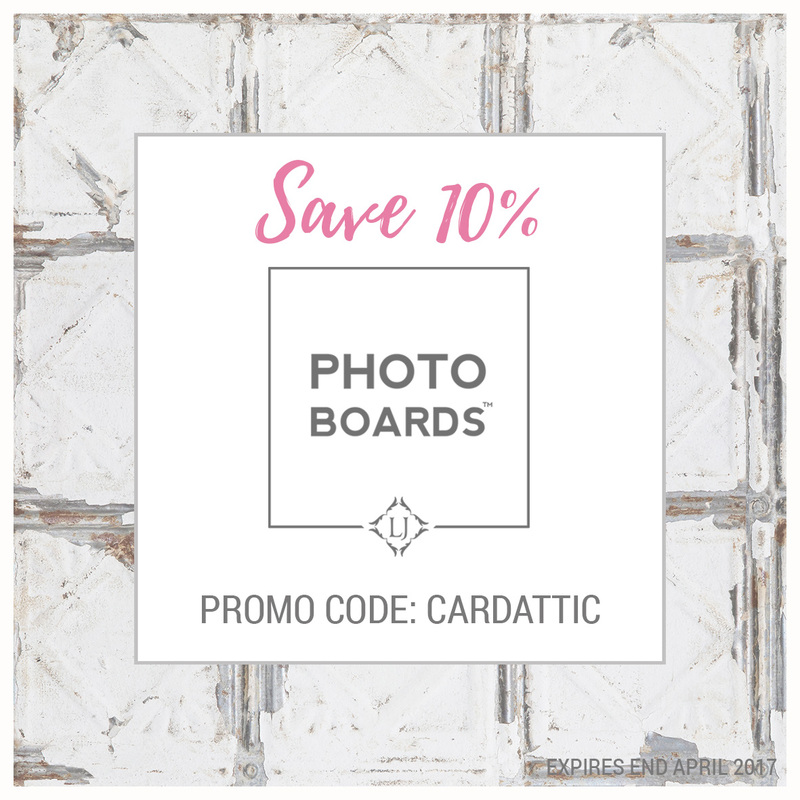 I want nothing to distract me from your lovely, gorgeous cards! Your beautiful cards don't need any props! Did you use your new light box! The photos are gorgeous! And your cards are perfection! Two gorgeous cards - spotted the second one as a Playground pick.... have to try and find similar stamp to the second one I think! As for props - your cards are perfect without any additions! 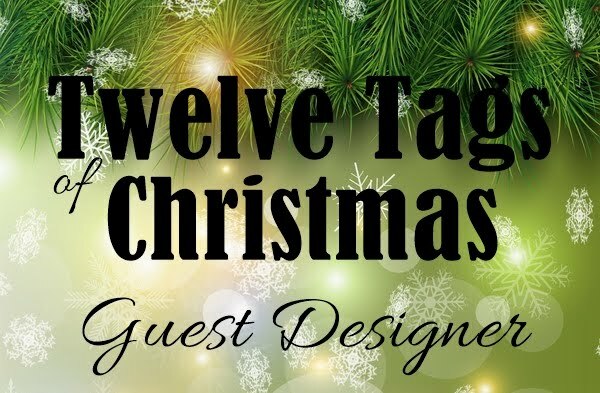 These are gorgeous, love the image and your designs. What gorgeous background and designs. I had to come over from the playground to compliment your beautiful entry! I love the diagonal corner with the poppies - what a creative and stunning card! Beautiful cards :) the pop of red is amazing ! Two gorgeous cards. 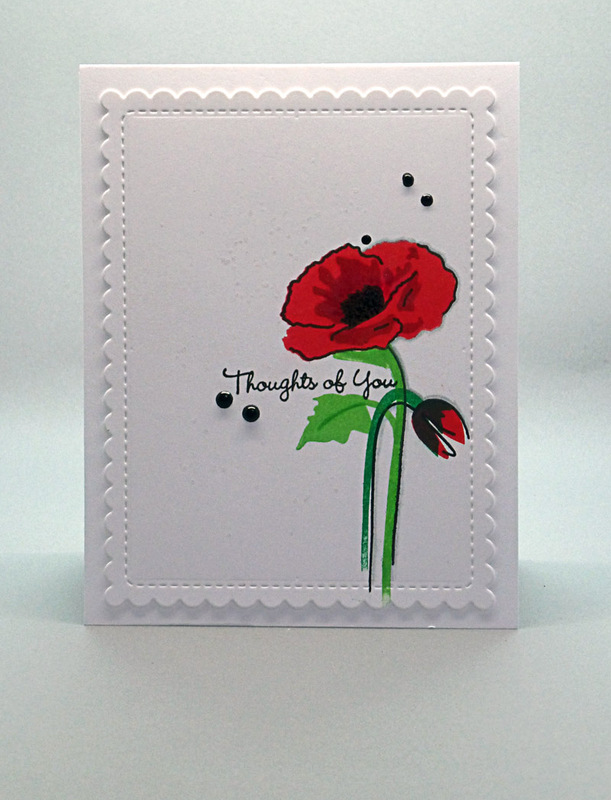 I love those bright red poppies, and the texture on your 2nd card is amazing. Wow - love these cards as I adore poppies. But especially the one with the basket weave embossing - such a beautiful layout. I think the lights distract, you take good enough photos without them IMO! So pretty, Hazel. I'm with MaryH... Sometimes what is technically 'right' for a photo is not what looks best to you when you take the photo... if you see what I'm saying. Of course my husband will totally disagree!!! These are so beautiful Hazel! The red flowers are so eye-catching, your coloring is fabulous, and I am in love with that basket weave textured background!